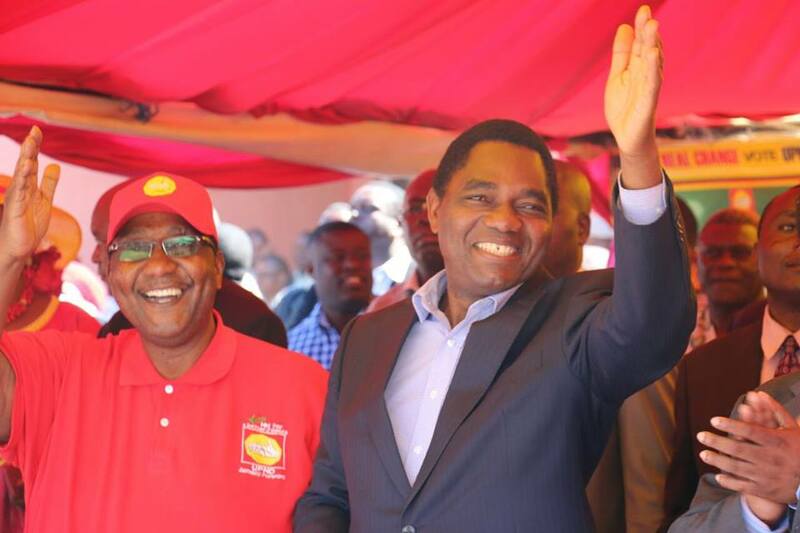 HH to name running mate? Speculation is rife that UPND presidential candidate and main challenger to President Edgar Lungu is set to announce his running mate at a press briefing to be held at the Party’s secretariat in Lusaka at 09:30 hours. The opposition leader has so far kept the nation guessing as to who his second-in-command will be should his party form Government after the August 11 general elections. On the other hand, his rival President Lungu ended all speculation on Saturday when he named republican Vice-President Inonge Wina during the ruling party’s campaign launch at Lusaka’s Heroes Stadium. Several high-profile names such the party’s two vice-presidents Geoffrey Mwamba and Canicius Banda, UDF leader Miles Sampa, long-serving Monze parliamentarian Jack Mwiimbu, former Acting President Guy Scott, For First Lady Maureen Mwanawasa and Chongwe firebrand Sylvia Masebo have been touted as contenders. Some more optimistic observers have even suggested late president Micheal Sata’s widow Christine Kaseba is a possible could yet be the chosen one. The party is also expected to announce its successful candidates for the parliamentary, mayoral and local government elections. Meanwhile, the Patriotic Front (PF) is also reportedly set to announce its candidates today. The ruling party was originally set to unveil the list of names during their Heroes Stadium campaign launch.